Taylor tells us that the store specializes in rare, old-school collectible video games like Earthbound, Mario RPG and Bubble Bobble 2. The store stocks games for the Genesis, N64, SNES, PS1, Dreamcast, NES, Saturn, Gamecube, PS2, Xbox, PS3, Wii, 360, Gameboy, Gameboy Color, Gameboy Advanced, DS, Game Gear and Atari. When Taylor's single mom passed away about a year ago he dropped out of school, got his GED and landed a job at a local video game store. Last week he and a friend decided to launch the store together. He told 9 News that he and his mother used to game together and that many of the titles he is now selling came from their collection. "I could look through here and be like, 'Oh, I remember playing that with my mom when I was just kid,'" Taylor said. "I hope, you know, she'd be proud of me. I hope that, you know, if she were here now, she would be proud of all this. This is a store that she would like, you know, she would shop here." 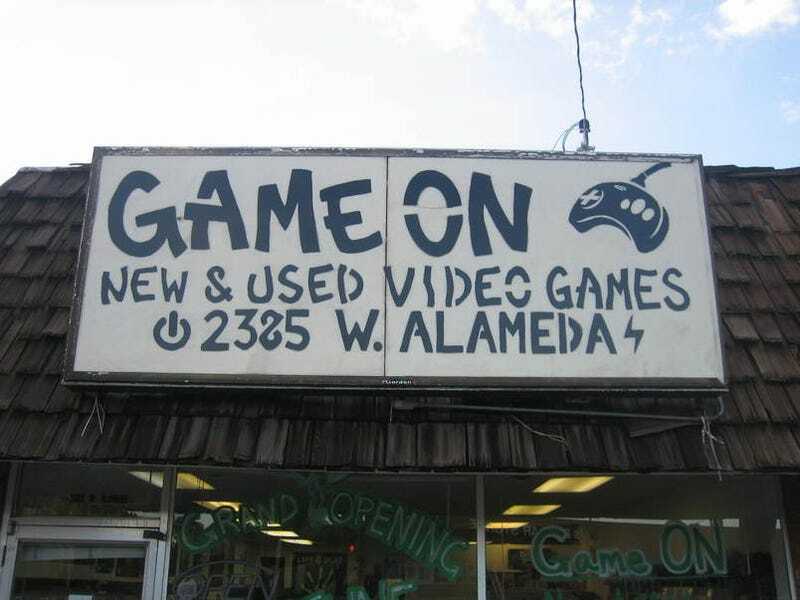 Update: It's worth noting that there is another Game On video game store in Denver: Game On Denver.